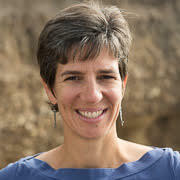 Lori provides non-judgmental and objective educational, emotional, and physical support to new families and encourages couples to prudently set their own goals and priorities together as a team.In addition to her classes at Harmony, Lori is a labor support Doula and Lactation Counselor, who also teaches classes at Blossom Birth Services in Palo Alto. 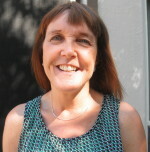 She has been working as a birth professional in the bay area since 1998 and was a certified childbirth instructor affiliated with the Bradley Method® of Natural Childbirth for 13 years (1998-2011).Lori has also continued her education by attending Advanced Doula Training workshops and Advanced Breastfeeding seminars with Treesa Mclean. Lori is a professional member of Bay Area Birth Information (BABI), Bay Area Birth Association (BABA), Blossom Birth, and the Coalition for Improving Maternity Services (CIMS).Lori is a mother of four beautiful children and currently resides in the South Bay. For more information about Lori and her services, please see her website. In addition to teaching the Breastfeeding class at Harmony, she also teaches a twin prep class at Blossom Birth Services in Palo Alto, and does individual lactation consults with mothers and babies in their homes or in her office.Janet’s approach and passion is to help moms and babies find their own natural rhythm with each other.For more information, or to schedule a consult, Janet can be reached at 408-205-1234. Her specialty and passion is in teaching new parents and supporting them through their journey, as she finds it incredibly rewarding to help new families learn about their baby and begin to grow in their confidence and connection as a family.Lisa has particular expertise in working with families with twins, and is also the proud mother of 3 adult children. She completed level 3 in Reiki in 2001 and is passionate about sharing the many benefits of holistic healing techniques by incorporating Reiki Energy Healing, Aromatherapy and Magnetic Therapy. In 2002, on becoming a mother, she realized the many benefits of baby massage and subsequently became an internationally recognized Certified Infant Massage Instructor. Erika received her Bachelor of Science in Speech Pathology and Audiology with Teacher Certification at Elmira College. She earned her Master’s Degree as a Teacher for the Deaf for grades K-12 from Canisius College in upstate New York.Erika has taught both Deaf and hearing children for the past 10 years in schools such as the Pennsylvania School for the Deaf and the California School for the Deaf in Fremont and currently works as an educational interpreter and ASL teacher.Erika’s thesis research on teaching ASL to pre-verbal hearing children, along with her recent coursework in bilingual education, has reinforced her belief that signing with children can produce amazing results.Her infant daughter started signing at only seven months old and her five year-old daughter still uses hundreds of signs in her everyday language. Erika delights in seeing her children empowered with a tremendous ability to communicate effectively at a very early age and is eager to share her experience and enthusiasm with you. I became interested in working with pregnant and new families while I was practicing massage therapy, I especially liked doing prenatal and postpartum massage, helping out the mom’s who always seemed to be working so hard, they also always seemed to know how to relax to the fullest! I’d always considered becoming a midwife, but wanted to start my own family first. A client of mine was a doula teacher, and it only seemed natural for me to become a doula, to continue toward that dream. I’ve been practicing as a birth and postpartum doula now since 2002, when I also trained as a Whole Birth Prenatal and Postpartum Yoga instructor, and Birthing From Within Mentor. I’ve worked in many main stream hospital settings (Kaiser Santa Clara, and Palo Alto Medical Foundation) as well as with private centers through out the Bay Area. I’ve also been teaching Prenatal/Postpartum Yoga and mentoring teen mother’s since 2002. I have a daughter born in 2005, and a son born in 2008, and although I’m busy as a mother, I stay active in my life’s work. I’ve since trained to become a certified Placenta Encapsulation Specialist (2009) and most recently certified to teach Teen Yoga and outreach yoga with Incarcerated youth. I look forward to celebrating your journey with you! Now a Mother to two adorable (and challenging and wonderful and angst-causing) little girls, she’s been a counselor with La Leche League for over 7 years, and is an advanced certified Doula and Childbirth Preparation Mentor through Birthing From Within.Like many mothers, she’s endured many sleepless nights, concerns about feeding, and the general “What IN the World do we DO now?” parenting moments. She also knows all too well the challenges of finding your own way and navigating friends, family, and social groups who may express well-meaning and strong opinions about how pregnancy and parenting SHOULD be done — all while hoping to do the best for her own family.Professionally she’s been deepening her understanding of how best to listen to parents with an open heart and “empty cup” so she may truly hear them and support them in their individual desires and goals.She finds that to be a practice useful to her life on a daily, and sometimes moment to moment, basis! Harmony is so glad to have her bring this openness, along with her wonderful, lively, and warm energy, to her classes and all of her work with expectant and new moms and families. Dolat Bolandi received Master’s degree in Counseling Psychology from Santa Clara University. She is a member of California Association of Marriage and Family Therapists (CAMFT). With many years of experience working in a variety of settings including high tech companies, local schools, religious organizations, college counseling, and local hospitals providing counseling and training; we are excited to have her join the Harmony Family. I graduated from UCLA Childbirth Educator certification program in 1995 and became Lamaze certified the following year (LCCE). In 2011, I became certified as a Lactation Educator (CLEC) through UCSD program.I taught and coordinated Childbirth Preparation classes at Mission College until program ended in 2012. I currently teach monthly Breastfeeding class at Kaiser Mountain View; and facilitate Childbirth Preparation, Natural Labor, Breastfeeding and Newborn Care classes for Kaiser Santa Clara Women’s Health Education Department. When I am not working with pregnant moms, I enjoy spending time with my husband, family, friends and two rescue bunnies. Also like hiking, going to the gym, and yoga classes. After the birth of her daughter, Carrey realized her true calling, changed careers, and became a birth doula. Carrey feels that every woman should have the information and support to choose the birth that is right for her. She brings humor and fun to her classes and hopes that every family leaves class feeling calm, confident, and excited. 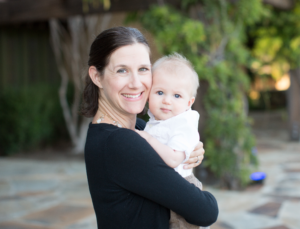 Megan has had the pleasure of supporting hundreds of new and expectant parents in the Bay Area since 2000. As a birth doula, childbirth educator and prenatal yoga instructor, she enjoys helping families navigate the maze of options available to them during the childbearing year. In addition to working with new families, she trains new and aspiring doulas through CAPPA. She lives in Santa Cruz with her husband and two kids. After creating Jewish-themed yoga classes for synagogues, organizations, and women’s events for almost a decade, Rabbi Laurie founded Makom Yoga in 2016. As she cares for her 2 small boys (ages 1 and 3), she finds time and energy to teach a weekly Pre-Shabbat Yoga class at the JCC, sub at Harmony, and create dynamic educational programs for all ages.